President Barack Obama issued an Executive Order on September 7, 2015 mandating sick leave for employees on federal contracts. The change takes effect January 1, 2017, and provides for a minimum of 56 hours of sick pay per year for full time employees. If your company has existing Service Contract Act (SCA) contracts, you’ll want to review to determine if you’ll need to add 16 hours to the standard 40 hour policy. Similar rules apply to Davis-Bacon contracts. Many companies have gone to an Annual Leave or Paid Time Off (PTO) leave policy in recent years, which combined Vacation and Sick Leave into annual amounts, usually around 120 hours per year with increases for service and seniority. 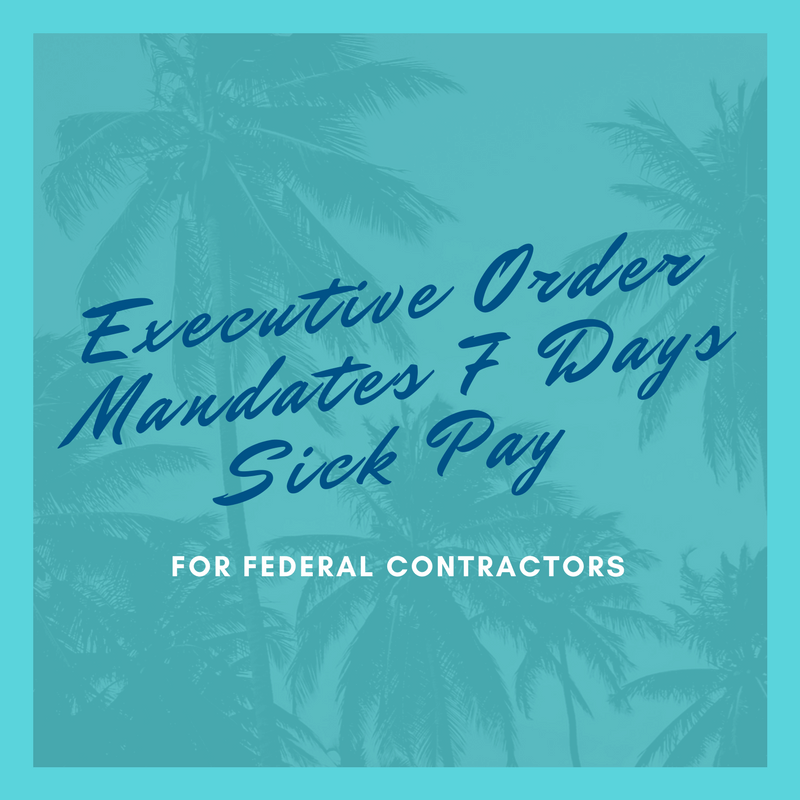 This Executive Order will force contractors to re-evaluate that policy and go back to a Vacation/Sick split of hours. Employers should also consider how to track and accrue leave, how to convert existing leave balances in January, plus any affects on payoff of leave at termination, and adjusting the liability amount shown on the balance sheet. No word on how contractors should attempt to recover these costs. If the contracts are Fixed Price or Time and Materials (T&M) contracts, these costs come out of the profit on the contract. For Cost Plus Contracts, there could be cost recovery through indirect rates provided there is adequate funding on the contract, or potentially through a request for equitable adjustment. Click here to go to the Executive Order. Jenny W Clark, CEO of Solvability, works with small businesses in the aerospace and defense industry on DCAA compliant accounting systems, indirect rate strategies and government contract accounting training. She focuses on technology firms across the Florida’s i4 corridor from Tampa, through Orlando and over to the Space Coast, who are developing dual-use technologies for unmanned systems, training and simulation, medical and cyber. Solvability offers DCAA Compliant QuickBooks Boot Camps as well as monthly webinars on Government Contract Accounting topics and DCAA Compliance issues. She is committed to developing a network of accounting professionals to support the federal contracting industry in Florida.